Custom video slideshows made from content in your LightJar account. Access the Cintrex AV Storefront for more information, to get estimates, or place an order. Thank you. Overview: Professional services from parent company Cintrex AV for basic conversion of your “physical” analog and earlier digital media recordings to new digital copies returned to you via web-download links, or placed in your LightJar account. The new files are suitable for sharing across the WEB or continued storage within LightJar. Audio recordings on cassettes, vinyl LPs and CDs. Service Delivery: From start to finish, the process takes 2 to 3 weeks. Upon completion, Cintrex will email you web links to your new digital files, or notify you when the new digital copies are placed in your LightJar cloud storage account. You will be able to download the files, share them across the web, post them online, or save them long term for future editing. Always make a backup copy of your files when you download them. Pricing: Pricing varies, depending upon original media item type. Click here for more information, or to place an order. Upload service for subscribers wanting to place TB’s of content into their LightJar account. The service fee is $50 per TB. Ship your hard-drives to us, and we will upload the content into your LightJar account for you. Some subscribers find this quicker and less hassle than uploading TB’s into the cloud from their home or office. Click here to find out more information on the service or to place your order. 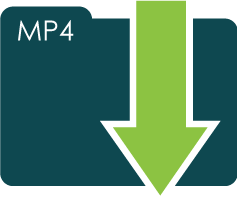 Back up your media collections in LightJar to a physical copy – a Blu-ray Disc or the option of LTO-6 tapes for larger collections. We return ship the backup media to you to put in a place of safekeeping, such as in a fireproof vault at home or in a safe deposit box at your bank. This service is helpful backup for today’s born-digital content, such as videos and photos taken on smartphones and uploaded directly into Cloud storage. Click here for more information, or to place an order. Professional editing services available for hire, for making custom movies from your LightJar content. Average job turnaround is 5 days, but we do offer RUSH service options for quicker turnaround. This type service is ideal for special occasions such as weddings, birthdays, graduations, anniversaries, and memorial services. Click here for more information on how this service works.